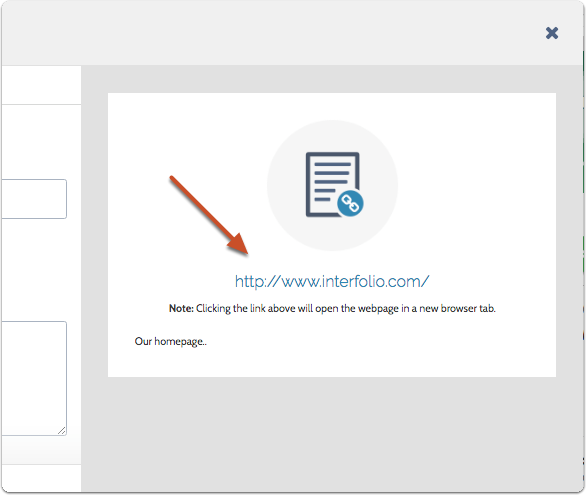 Follow the instructions below to include a link to a webpage as part of your Dossier. 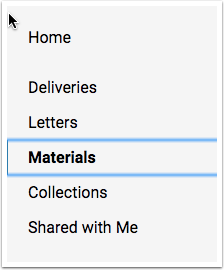 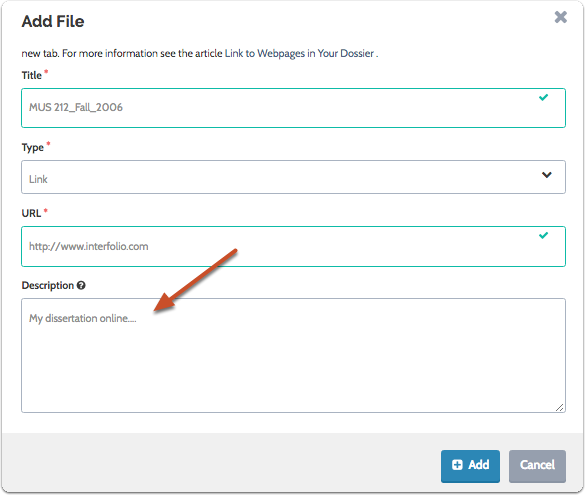 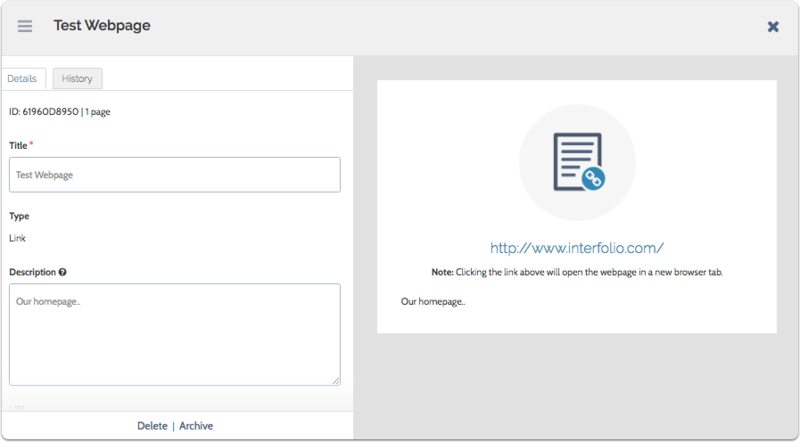 The default is "Link," but you can click the dropdown menu and desgnate your webpage as another type of material, such as a personal statement or an essay. 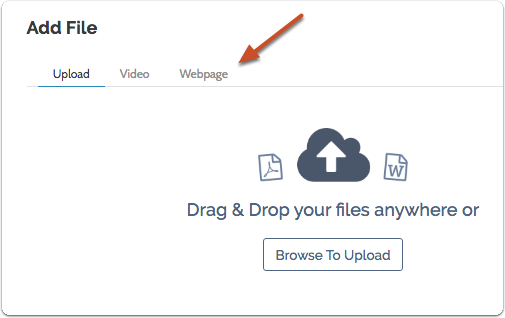 Note that clicking the link will open the webpage in a new broswer tab. 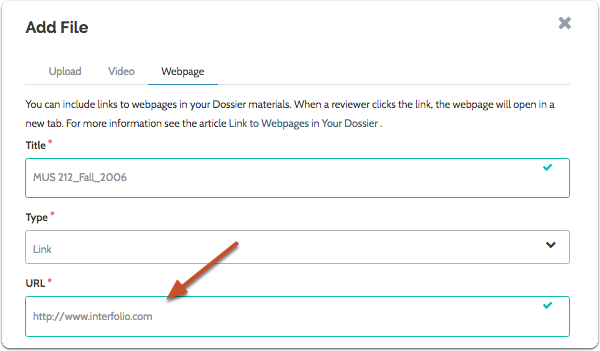 This is true when you preview the link, and is also how the link will work for the person reviewing your materials.